Esquilino is a free modern resume template with a stylish double horizontal colored top banner. Vertical structure. 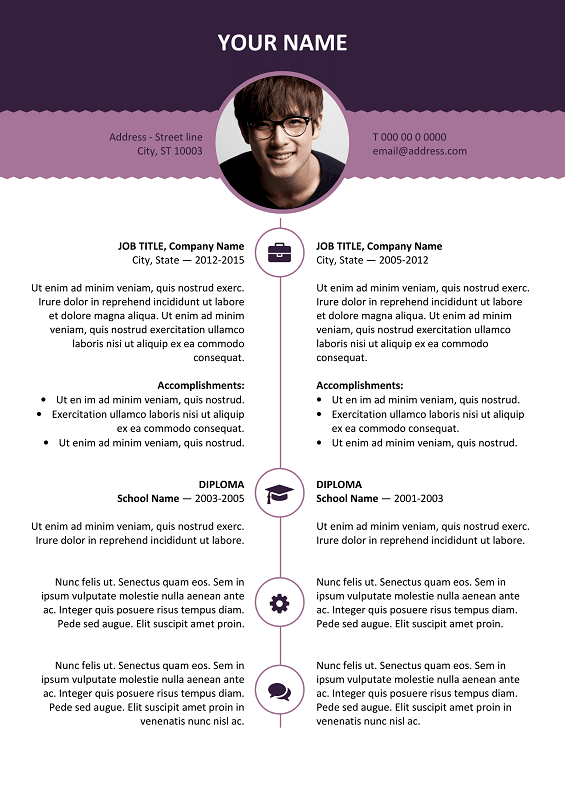 Well-organized, table-formatted, this resume template is also very easy to edit and customize with MS Word. Six different color options available: blue, brown, gray, green, purple and yellow. Tip: if none of the color versions suit your needs, you could still edit very easily and customize the resume with your own colors. The package includes Microsoft Word files in International A4 and US/Canada Letter sizes. * this resume is designed with the fonts above ; for an optimal result, install these fonts first, and then open the DOCX file. ** you will need to have this font installed to display the icons included in this template – and as shown on the PDF preview file. Download the MS Word modern resume template for free! Still a bit puzzled on how to have the icons installed/inserted. I installed the three fonts from \…\fontawesome-free-5.0.6\use-on-desktop do I have to do anything else? Just install the font FontAwesome, and you should be good. Now, you can manage the icons like a standard font. If you installed correctly FontAwesome, you should have the icons displayed (and if you highlight the icons on the DOCX file, you will see the font used is not Calibri, but FontAwesome…). Now, if you want to change the icon, just highlight the current one, then Insert > Symbols > More Symbols > select FontAwesome, the icon you need and click Insert. Et voila! 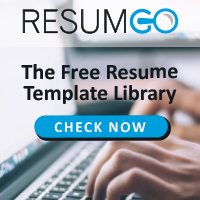 Effective Free Resume Templates | Rezumeet © 2019. All Rights Reserved. Microsoft and Word are trademarks or registered trademarks of Microsoft Corporation in the United States and/or other countries. All other trademarks, logos and registered trademarks are properties of their respective owners.